Leading Manufacturer of concrete brick making machine, fully automatic brick machine, fully automatic brick making machine, fully automatic multifunction brick machine, high density brick making machine and hollow brick machine from Coimbatore. Concrete Brick Making Machine We are leading manufacturer and exporter of Fully Automatic Multifunction Brick Machine, Multifunction Block Making Machine, Block Machine, Block Making Machine, Concrete Block Machine, Hollow Block Machine, Concrete Block Making Machine, Cement Block Machine. Concrete Brick Making Machine This machine is Multifunctional, Could make All kinds of Blocks, Bricks and Pavers while change the Moulds. Fully Automatic Brick Machine With the help of our experienced professionals, we are able to offer a wide range of Fully Automatic Brick Machine. To manufacture this range, our professionals make use of optimum-grade raw material in compliance with the international quality parameters.Fully Automatic Brick Machine All the products are rigorously examined by our quality controllers team to ensure the flawlessness before being dispatched in the market. Our clients can avail thus range in various sizes, designs and custom-built models, to meet the variegated requirements of our clients. Fully Automatic Brick Making Machine With the help of our experienced professionals, we are able to offer a wide range of Fully Automatic Brick Machine. To manufacture this range, our professionals make use of optimum-grade raw material in compliance with the international quality parameters. Fully Automatic Brick Making Machine All the products are rigorously examined by our quality controllers team to ensure the flawlessness before being dispatched in the market. Our clients can avail thus range in various sizes, designs and custom-built models, to meet the variegated requirements of our clients. Fully Automatic Multifunction Brick Machine We are leading manufacturer and exporter of Fully Automatic Multifunction Brick Machine, Multifunction Block Making Machine, Block Machine, Block Making Machine, Concrete Block Machine, Hollow Block Machine, Concrete Block Making Machine, Cement Block Machine. 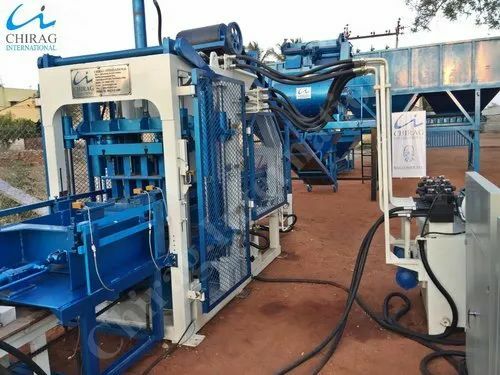 Fully Automatic Multifunction Brick Machine This machine is Multifunctional, Could make All kinds of Blocks, Bricks and Pavers while change the Moulds. High Density Brick Making Machine We are leading manufacturer and exporter of Fully Automatic Multifunction Brick Machine, Multifunction Block Making Machine, Block Machine, Block Making Machine, Concrete Block Machine, Hollow Block Machine, Concrete Block Making Machine, Cement Block Machine. High Density Brick Making Machine This machine is Multifunctional, Could make All kinds of Blocks, Bricks and Pavers while change the Moulds. Hollow Brick Machine We are leading manufacturer and exporter of Fully Automatic Multifunction Brick Machine, Multifunction Block Making Machine, Block Machine, Block Making Machine, Concrete Block Machine, Hollow Block Machine, Concrete Block Making Machine, Cement Block Machine.Hollow Brick Machine This machine is Multifunctional, Could make All kinds of Blocks, Bricks and Pavers while change the Moulds. All in One Machine : Fly Ash Brick, Concrete Block, Interlocking Brick, Interlocking Block, Interlocking Paver etc. With the help of our experienced professionals, we are able to offer a wide range of Chirag Worlds Best Integrated Automatic Brick Machine . To manufacture this range, our professionals make use of optimum-grade raw material in compliance with the international quality parameters. 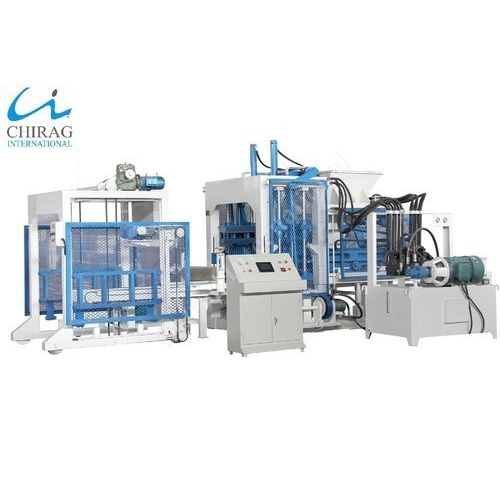 Chirag Worlds Best Integrated Automatic Brick Machine All the products are rigorously examined by our quality controllers team to ensure the flawlessness before being dispatched in the market. Our clients can avail thus range in various sizes, designs and custom-built models, to meet the variegated requirements of our clients. 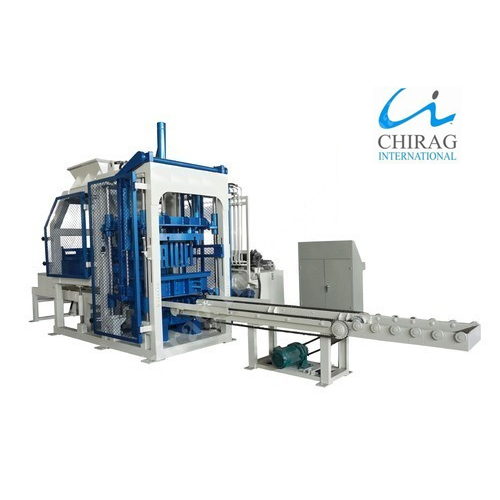 With the help of our experienced professionals, we are able to offer a wide range of Chirag Integrated Hi-Technology Fully Automatic Brick Machine . To manufacture this range, our professionals make use of optimum-grade raw material in compliance with the international quality parameters. 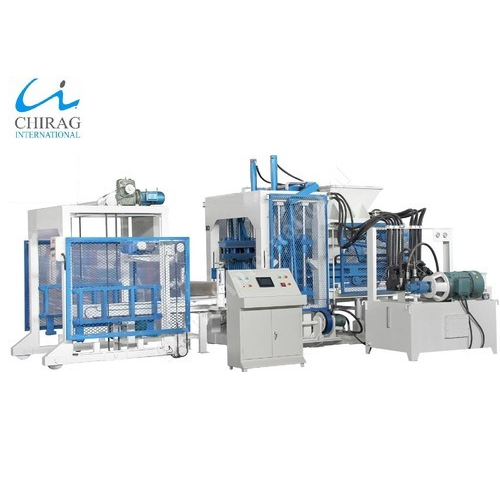 Chirag Integrated Hi-Technology Fully Automatic Brick Machine All the products are rigorously examined by our quality controllers team to ensure the flawlessness before being dispatched in the market. Our clients can avail thus range in various sizes, designs and custom-built models, to meet the variegated requirements of our clients. 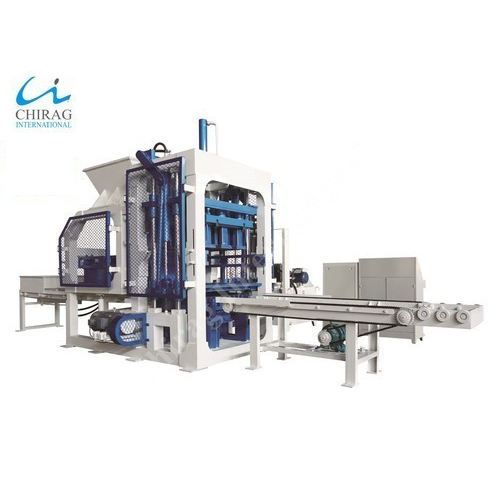 This Chirag Advanced Technology Bricks Manufacturing Machine automatically controls in block forming, cuber, pallet sending, and pallet separating etc. We export a wide collection of these control system machines that are known and highly demanded for their superior quality, durability and optimum performance. 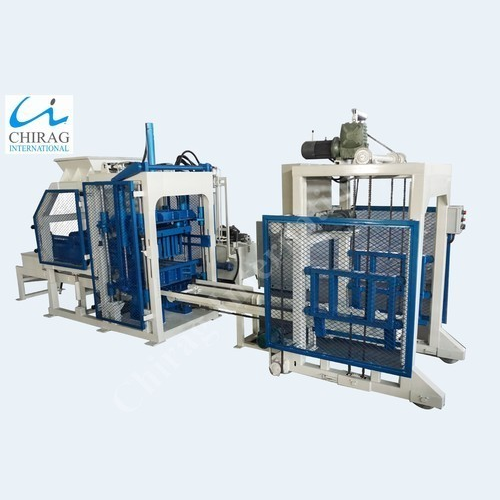 Chirag Advanced Technology Bricks Manufacturing Machine Our offer ranges of these products are made from quality raw material. We also meet customized requirement for our customers benefit. This Chirag Brand New Brick Manufacturing Plant automatically controls in block forming, cuber, pallet sending, and pallet separating etc. 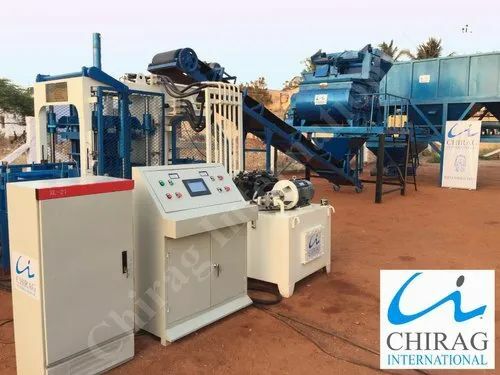 We export a wide collection of these control system machines that are known and highly demanded for their superior quality, durability and optimum performance.Chirag Brand New Brick Manufacturing Plant Our offer ranges of these products are made from quality raw material. We also meet customized requirement for our customers benefit. We provide an exclusive range of Chirag Next-Gen Cement Brick Machine to our clients, which are designed using latest technology. Our range of these machines is used in several industries and is available in various specifications. All the products are designed & developed under the supervision of experts. 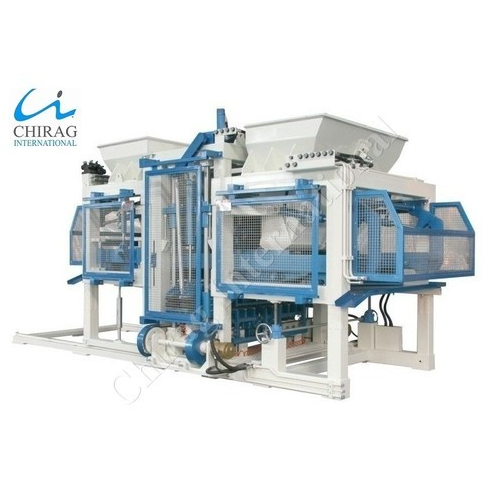 Chirag Next-Gen Cement Brick Machine These Brick Making Machines are renowned for salient attributes like high performance, easy fittings, and high durability. Clients can avail our range at competitive prices.